There’s something about these early mornings. The peace in the air, gentle breeze blowing and the only sound you hear is that of the rustling leaves, the birds chirping and tweeting. The elements of nature interact with each other to give us moments that stay etched in our hearts forever. We just have to be still with it to notice. In stillness and in silence, I listen to the whisper of my soul that guides me to express the fullness of my being and enjoy each moment. Are you delighted by the sweet chirping of birds? Well, I am .The birds have always fascinated me. I had read about birds as a teenager, when I read a book published in France written by someone who called birds God’s “spiritual messengers.” I subsequently learned that these marvelous creatures have fascinated others all the way back to prehistoric times when birds were depicted on cave walls. The Bible certainly tells how God used birds to send needed messages. He used a dove to tell Noah that dry land had returned after the flood; He used a raven to deliver Elijah his food; quails were sent to supplement the Israelites’ diet of manna. Early in man’s history he believed that the birds were messengers between God and earth. After all, they could fly so high into the sky surely God must get our message and return his blessings. A great feeling to being able to reach out to Him! 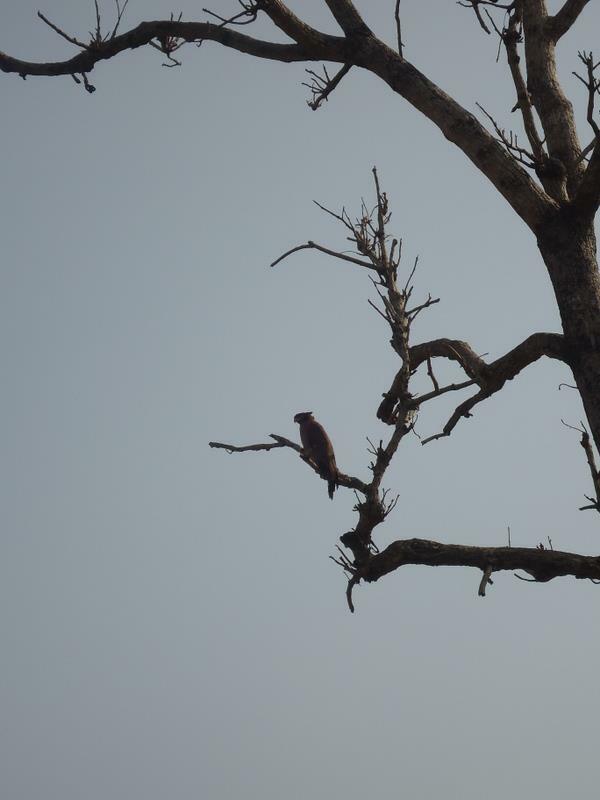 Being in the Army, had a chance to travel across India and stayed in the weirdest of places but that gave me a chance to enjoy the flora and fauna of each location. I personally had many amazing encounters with birds and had a chance to nurture them. I, invariable would find an injured bird or an abandoned baby bird and with that …would start the fulltime baby sitting! Treating and nurturing birds who often turned up injured or orphaned on our lawns and at our place was not devoid of anxiety, but at the same time it is impossible for a bird lover like me to turn my back on a sick or injured bird so that left me with no option but to adopt them. Every backyard birder has seen the “starving baby” act by fledgling birds, when they flutter their wings and call piteously for attention from seemingly hard-hearted, indifferent parents. The desire to feed and nurture those fluffy balls of feathers can be strong, but then it is important to understand the special needs of a baby bird’s diet and know what to feed a baby bird for the best nutrition. So it was never an easy task but definitely a joyous one! It was early winter, Nov 2011 to be precise. My garden was coming up with pruning and planting of winter saplings in full swing. I often sat on the swing in the garden around sunset and looked up towards the majestic crimson sky and would see birds flying back home in groups forming formations or screechy parrots flying from one mango tree to the other. They emit squawks so shrill that they can be heard even when they are flying high overhead. I would smile and wish I could hold one of these in my lap! 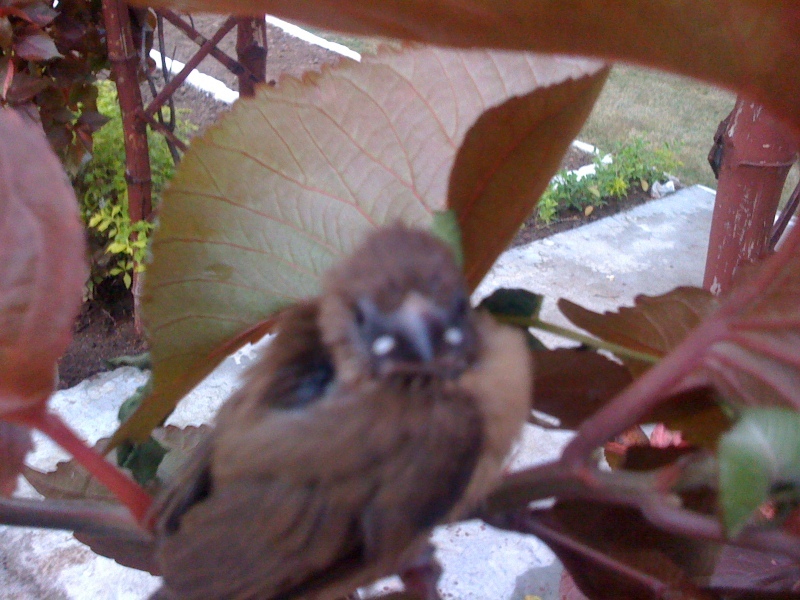 One fine morning I saw this small little baby bird fallen off from the nest on to a bush. It was such a tiny little creature looking towards me as if saying I’m sure you can help. I cut off the little branch on which it was sitting and helped it back into the nest. It’s parents came back and what a chit chat I heard as if the baby was sharing it’s little adventure and the parents were kind of warning it not to venture out again. And then the parents flew over my head in circles ..may be thanksgiving flight !!! 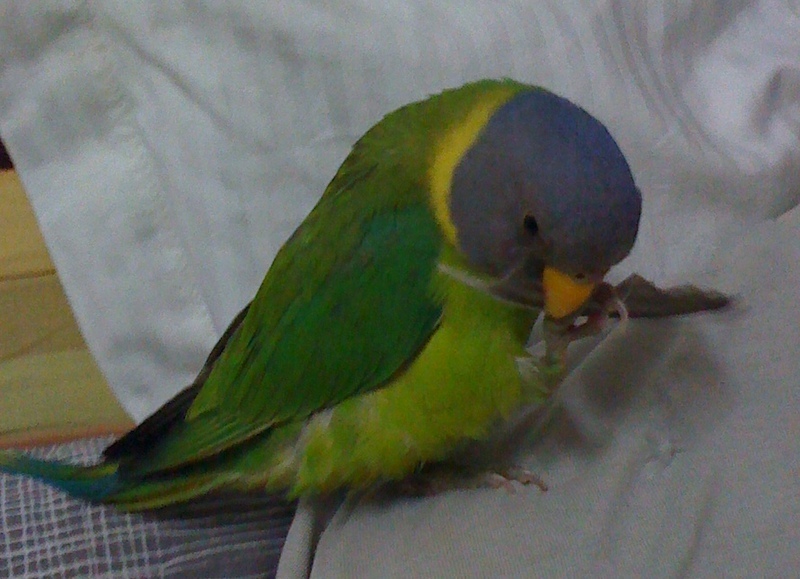 And two days later I found this injured baby parrot, with a broken beak and blood oozing out on the head. God! I was so shaken up to see this little one who appeared so dazed and confused. After cleaning up the wounds, feeding it with water, I just held it next to me and it cling to me digging her face into my neck. I carried this little one inside my sweater for a month and to my amazement it clung to me, probably it kept her warm and safe. At night she slept in a box lined with soft cotton cloth. 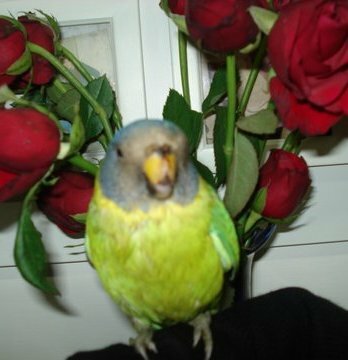 It was a grey headed parakeet with a yellow ring in the neck and beautiful colours all over the body. With a brilliant green colour all over and a lovely tinge of blue in its long tail. Gradually her wounds healed, her beak grew back and she grew into a charming young bird that is as beautiful as a fairy and enjoys the royalty of a princess. A platter of fruits and birds feed served to her and a ladder to play on, she enjoys her home. As she is unable to fly because her wing never grew back, she is brought out of her cage often and she even right now she sits on my shoulder while I write this piece. Birds symbolize the spiritual nature of man by reflecting, among other things, our spiritual aspirations, our freedom, expansiveness, our intuitive abilities, and our ability to rise above our fears and limitations; in the process, teaching us Divine principles. Their abilty to soar high and their proximity with the sky make them the purest souls and make them so desirable for us who cannot fly. Alone are interpretations of their thought! Every day I am becoming more and more open to receiving the great abundance of the universe .It honestly makes me sad when I encounter someone who doesn’t entertain these kinds of concepts. Once you’ve seen what’s outside the walls of normality, you might wonder how you existed before. The bird thing is more of a constant fascination- something that I feel drawn to in a way that I just can’t quantify. I wish I could be a bird, that’s for certain, but until I disappear in a cloud of feathers, I’m here to share all I can !